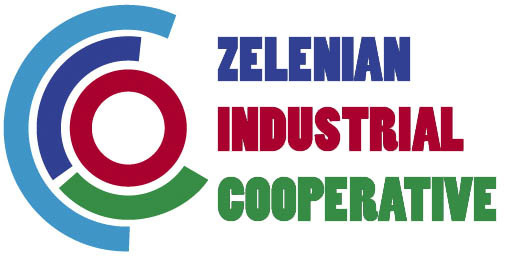 The Zelenian Industrial Cooperative is an organization of private Zelenian companies and industries that are supported and subsidized by the government. The 'ZIC' seeks to help businesses the government favours grow by providing low-interest loans, direct subsidies, technological assistance and export promotion abroad. The Zelenian Industrial Cooperative was founded to help modernize Zelena's industries but has grown to have a hand in just about every facet of life in Zelena. Founded and lead by the revolutionary hero Vladislav Palach, the organization is extremely well respected within Zelena. The ZIC managed to modernize Zelena to be on-par with SW City in terms of technology in only a few years, all without the purchase or use of any technology from SW City's corporations. Despite Zelena's extremely transparent government and business laws, the ZIC is provided a level of secrecy usually only reserved for top-secret security organizations and is in fact far less transparent than even Zelena's military. The government's official position is that the ZIC needs these levels of secrecy due to its unique research methods and due to its military related research. Some in Zelen� and especially SW City worry the ZIC is becoming a vehicle to create state controlled monopolies propped up by government subsidies to give an unfair advantage to certain politically favoured companies. The organization has also produced so many advances in every field that some have speculated it could not have researched these technologies them selves in such a short time but it is only speculation how or where from the ZIC has made such technological gains.